VMPNW is growing! I received a recent inquiry as to who the squad is, their characters of choice and overall details. The overwhelming odds of our roster use mixed social media sites. So I see an opportunity to debrief. Here we gooooo~, in order of appearance. Jais: Jedah - Jaison started playing VSAV just before DS:R was dropped. 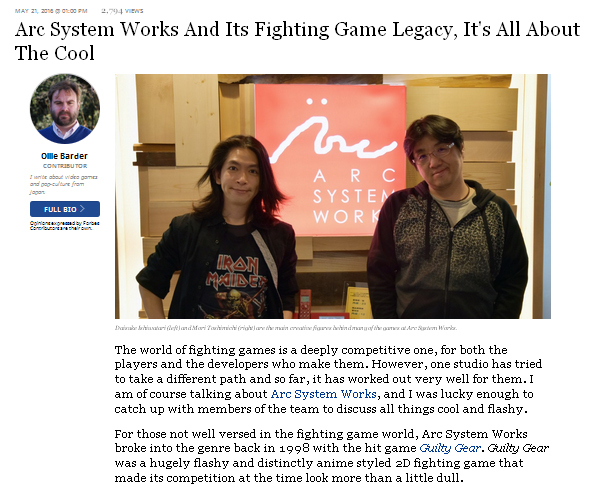 He would meet with the usualy OG guilty gear crew and get some matches in each week. Currently, Jais's offense is very strong, his ability to make player reads is "top-player" status. His match-ups strats are minimal, but his ability to adapt helps him overcome. His current focus is expanding match up strats and tightening up his consistency with defensive Tech-Hits & GC's, His blocking and reversals dark forces are very effective. Keough "9T9": Anakaris - Him and Jais were the two active players prior and immediately after my arrival. His offense is pretty good. His ability to make player reads is strong too. Although Anakaris is "weak" b/c of a lack of defensive options, this flaw only gets exploited at a very high level of play. Currently, Keough performs great against our scene and doesn't get cheesed too often. His attendance has been low in recent months but he does still show up from time to time. Solid-Bro. KyleW: Morri~ w/ a sub of about 1/2 the roster. @VMP_KyleW When I relocated to Seattle, I brought my VSAV cabinet and started having weekly FGC sessions, hosted by Jais. For ~10 months it was just the three of us, but that grind was very helpful for the progress of Jais/Keough. I'll stop my introduction there b/c I'm active on Facebook/Twitter. Everyone knows me, right? Tad: Q-Bee - Tennessee native who moved to Seattle in June of 2015. Started playing VSAV as a tangent scene to Cincy back when VMP was building. He's a very close friend of mine, so the timeliness of his involvement with VSAV has mirrored mine. IMO, his Tech-Hits and GC's are the strongest (next to mine) in our scene. His offense is very indirect and generally doesn't generally overwhelm with IAD tacticts. Tad plays a more neutral oriented spacing (Chun-Li) game. Strong Bee. Has a few match-ups to learn and is learning how to transition neutral to overwhelming offense. Jeff "Zom~B": Q-Bee - @ZOMBMU Atlanta native who moved to Seattle in April(?) of 2015. Very strong FGC anime player. He changed his lifestyle to get a new occupation and buckle down to learn Japanese. He is heavily focused on Dota-2 and now some Overwatch. Doesnt turn up very often. Good guy, just headed in another direction. Lastly, he is an avid HITBOX player. I'm certain that Cabinet Savier is offsetting to him as much as DS:R is offsetting to us. I won't speak to the specifics of his skill level (out of a lack of grinding together), but, he is considered a strong Q-Bee desu! Hilary "Hil~": Q-Bee - @HilaryyyPNW Texas native who has lived in Seattle for many years. Avid Skullgirls players, very patient. Has the skill set of a FGC veteran. We met Hil~ and a few others at a monthly Seattle event. They all were super into Skully~ but eager to have fun in VSAV too. After some time we had their squad over for a BBQ/gaming social. It was good times. Hil's personality and ours was very much in align. He started putting more & more time into VSAV. Training, analyzing, grinding etc. He's a "Pad" player" but fairly confident on stick! After some time, he became roommates w/ Jais & Tad. Those (3) plus the Cabinet has become the "Seattle VSAV House". ^___^ V. Hil is patient and makes very strong player reads, reactions, adaptions. His QB offense is awesome; IAD frustrating the opponent - ensured. Overall, he is working on solidifying the harder inputs on stick and combo'n into ES-C>R more often. Strong Bee. That's a lot of bees!!!!! Marshall "Goose": Bulleta - @Chooseagoose Portland native who moved to Seattle in February(?) of 2016. He is a skully~ player from Hil's squad. He started very new to VSAV mechanics and overall inexperienced to fighting game (Capcom) fundamentals. This player gets the "most improved" award because GODDAMN I get excited playing with him. Bulleta is a deep character with loads of options/execution and its engaging to see Marsh~ bringing new facets to his game each week. At this time, I really feel comfortable saying he is a strong Bulleta player. His Tech-Hits are consistent, his offense is mixed-up nicely and his tech-chasing is the strongest in our scene. Currently he is learning match-ups and finding ways to apply dash combos. I just want to be clear, he is not a combo-training-mode oriented Bulleta. This guy has been playing VSAV mechanics with knockdown combos, tech-hits, high/low offense and delay attacks. Severine "Sev": Aulbath w/ a sub Bishamon (W.I.P.) @____Severine Sev~ moved to Portland in February(?) of 2016. Marshall, Sev, Ada & Thor are all roommates & Skully players. Sev is a very strong Anime player. Her execution, ability to implement strats and make player reads is proof of her "top player" status in Skully~. So yeah, Strong Fish and recently learning Bishamon. Her Aulbath has about maxed out of execution/tactics and now the Bishamon grind has her in her normal execution heavy, stimulated game play. Thor "Domo": ??? - @DangoPNW Recently started to be more invested in VSAV, still learning mechanics and deciding on a character. Has a play style he wants to focus on and still soul searching for the right way to play how he wants in this new game environment. He has a house full of eager players and a scene full of experience, the potential is there for him to become very competitive. We'll see what becomes in the upcoming months. Raco "Rocco": Sasquatch - @PITBUSTAR She is a Seattle native who comes to our gatherings, especially weekend events. She's a great artist and always wonderful company. Hopefully I can commission her to creating promotional content for our events. She is just beginning to be exposed to competitive FGC play and Capcom fundamentals. She is currently in that early FGC grind & enjoying the ride. Ada Stark "Ada" / "Adele": Bell - @AdelheidStark Her VSAV involvement is very very similar to Thor's story, except she has a lot more longevity in the FGC as a whole. Up and comer or sleeper? We will wait and see. Sean "GBursine" / "G.B. ": Aulbath/LeiLei w/ a sub Shadow - @Gbursine GeeBee!!!!! Awesome guy. Great friend of mine. Recently moved to Portland from New Jersey. March(?) 2016. He is the "Uncle Savior" of western VSAV. His efforts for hosting east coast events, information gathering & documentation (@SRK forums prior to the wiki) was instrumental to the growth of western VSAV. He was doing god's-work just because he liked the game! 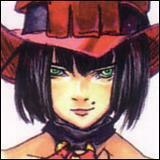 very O.G., well-rounded FGC player who's biggest flaw in competitive VSAV progress is character indecisiveness. I firmly believe if he stuck w/ two heros he could make the "player read" adjustments rather than falling back to the match-up strategy adjustments. although, We have a different philosophy for approaching fighting games. Hive After Hive: Q-Bee - I can't say much as we met him once for the duration of NWM-2016. He moved from Cali within the last year, he was fairly active on FightCade/GGPO, he seems to know about the mechanics. Personality wise, he's great company and folds well into our mix. As we continue to have weekend events, i suspect we will see him more. Unfortunately, the routine Monday nights does not work well for his attendance. 1.) Undamned USB inputs. This will allow Hil~ to commit to a pad, invite HITBOX-Zom~B to join us more often and overall be accommodating to pad/console players. This will help bridge the hardware gap of VSAV & the PNW-FGC. 2.) JROK Video Encoder - Video Out. We can start recording from the cabinet, archiving matches, analyzing our own previous play and stream events. Once the stream setup is in motion, we can have a weekly tournament and analyze our wins/losses to more widely gauge players skills & match-ups. In contrast, we currently have long casual session with me getting boozy and me bantering at players about what to do. Rice Digital announced today the release of a special edition of Guilty Gear Xrd -REVELATOR- for Europe. The price of this edition called Let's Rock! Edition will be 94.99€ or £69.99 for Playstation 4 and 89.99€ or £64.99 for Playstation 3 and exclusively sold at the Rice Digital Online Store. 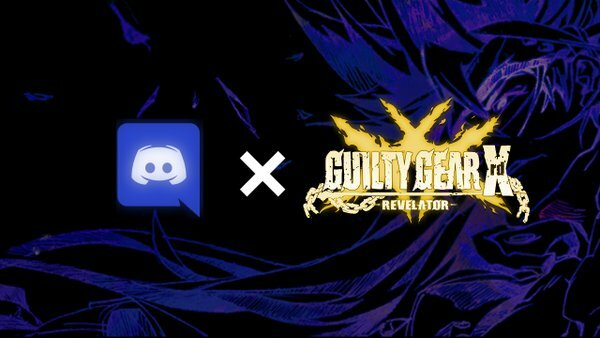 Guilty Gear Xrd -REVELATOR- will be released on June 10 in the European continent, 3 days after the North American release. They are offering free worldwide shipping. A campaign supporting Mikado Game Center, well known for its guilty gear play, has recently appeared on Teespring. The campaign, posted by joniosan, has 7 different colors available until May 12th. The price of each shirt is $24.99 with $3.99 shipping. 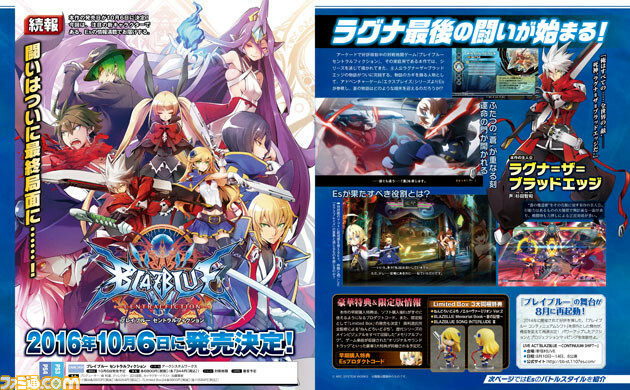 The proceeds from the campaign are said to go to bringing more JP footage/players stateside. You can view the different colors and the t-shirt design below.